Would you like more energy, sharper and clearer thinking, more stamina, less stress and better sleep? These and many other health improvements can be yours by simply improving your food choices and digestion. The sooner you begin, the quicker you’ll see improvements and the longer you’ll be able to enjoy them. 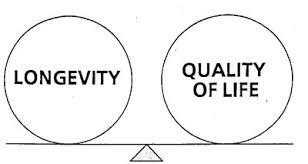 Over thirty-four years ago, after graduating from the National University of Health Sciences, I asked my first chiropractic patient, "What is more important to you, the length of your life or the quality of your life?" The answer was, as it is for most of us, "quality of life." Fortunately, we don’t have to choose. We can increase both. No matter what age, occupation or hobby, everyone wants to be able to function at their best mentally and physically. As we ripen, we become even more aware of declines in physical and mental abilities. This is not an inevitable consequence of age. A few, easy, lifestyle changes can make a world of difference. Food for our bodies is, unquestionably, more important than fuel for our cars. You know you cannot expect your car to work correctly, or for very long, if you use the wrong fuel. Much like a luxury car, if you give your body high octane fuel, it will run smoother, faster and longer. In the early to mid 1930s, two doctors noticed a previously overlooked medical phenomenon. Carnivorous animals and humans begin suffering physical ailments and degenerative changes whenever their diets include more cooked foods than raw foods. Francis Pottenger, Jr., MD first noticed physical decline and reproductive problems while experimenting with cats. He subsequently documented similar findings in humans. Click here for Dr. Pottenger's book. Dr. Edward Howell was treating patients in a sanitarium in Chicago when he began noticing they were not responding as well after their diets were modified from all raw foods to include heat-treated foods. Click here for Dr. Howell's book. Over time, as populations increased and more people began living in urban environments, treating foods with heat such as canning and pasteurization provided a much-needed answer to preventing foods from spoiling before they reached distant markets. This was one of the most important factors in the creation of our current food distribution industry. As Dr. Pottenger and Dr. Howell proved, however, increasing shelf life comes with an extremely high health cost. Dr. Howell’s work identified the missing ingredient in heat-treated foods that allows them to last longer without spoiling. Enzymes. This statement of his says it all: “The length of life is inversely proportional to the rate of exhaustion of the enzyme potential of an organism.” In other words, as the ability of your enzymes to do work declines, you experience less quality and length of life. Every living thing contains enzymes. They are the tireless workers responsible for everything connected with life. Every breath you take; every move you make; every thought you think requires enzymes. Without our construction-worker enzymes, proteins, carbohydrates, fats, vitamins and minerals are nothing more than inanimate building materials. Every living creature contains all the enzymes needed to keep it alive. And, upon death, these enzymes break it down. Dust to Dust. A temperature of 115 to 118 degrees Fahrenheit is enough to begin destroying enzymes. Once treating foods with heat became the norm, modern societies began developing symptoms rarely, if ever, experienced in more primitive people. An excellent example is native Eskimos. Their original diet was mostly raw foods containing very high amounts of blubber, animal fat. When first examined, they had no signs of high cholesterol or cardiovascular disease. Until, that is, they began using a more westernized diet containing more cooked foods and simple carbohydrates. Dr. Weston Price, DDS also documented significant differences in dental and jaw structures between "primitive" Indians and "modernized" Indians. Your stomach is an amazing organ. It collapses between meals. When you eat, food begins expanding your stomach. This expansion sends a signal for hydrogen and chlorine to begin collecting in your stomach from your blood. They combine to form hydrochloric acid. This process takes about thirty to sixty minutes. In riper individuals it can take longer. Your hydrochloric acid converts pepsinogen to pepsin for digesting proteins. It also makes the contents of your stomach acidic. As your stomach reaches it's greatest acidity, your salivary enzymes and food enzymes are inactivated until they reach the more alkaline environment of your small intestine. Then they are reactivated to continue helping with digestion. Stomach acidity is essential. As your partially digested food begins to pass into your small intestine, it must be acidic enough to properly signal your gall bladder to release bile. Without bile the fats in your meal are not completely digested and absorbed. During the 45 or so minutes while your stomach is producing hydrochloric acid, if you have chewed your food well, enzymes in your saliva and, most importantly, enzymes released from any raw or minimally cooked foods can help "pre-digest" a significant amount of your meal. This includes about 60% of the starches or carbohydrates, about 30% of the protein and about 10% of the fats. This means your body has to produce this many fewer of its own enzymes to completely digest this meal. Without the help of the enzymes from raw food, far less pre-digestion occurs in your upper (cardiac) "pre-digestive" stomach. Since digestion is one of the most energy-intensive jobs in your body, any energy not required for digestion can be used for other essential activities such as immune functions and repair. If immune functions and tissue repair are diminished, our bodies become more susceptible to inflammatory and chronic degenerative conditions frequently associated with aging.